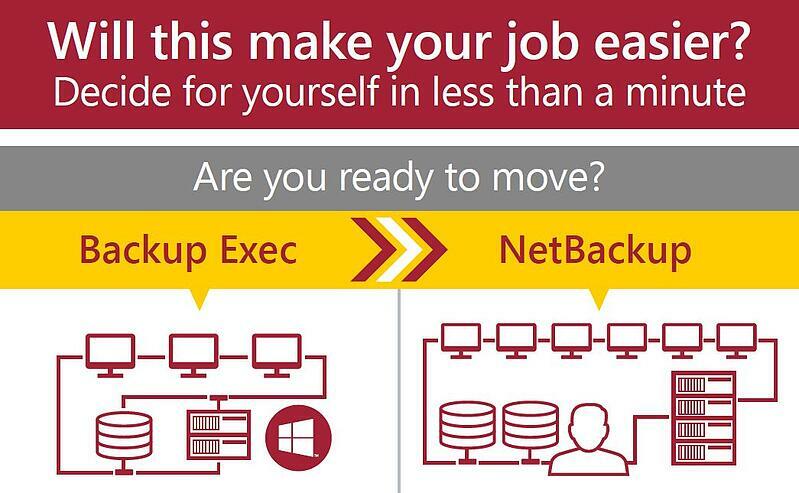 Are you ready to make the move to enterprise backup? Get the decision criteria you’ll need to make an informed decision with this Infographic that highlights a side-by-side comparison of Backup Exec and NetBackup. Illustrating scalability, VMware and Hyper-V support, data optimization capabilities, reporting options and more, you’ll see the key advantages of each solution. Check it out and in less than a minute you’ll know if you’re ready to make a move.